DESCRIPTION Rooftop solar panels are just one of the many features of this elegant 3 bedroom townhome in Kensington. 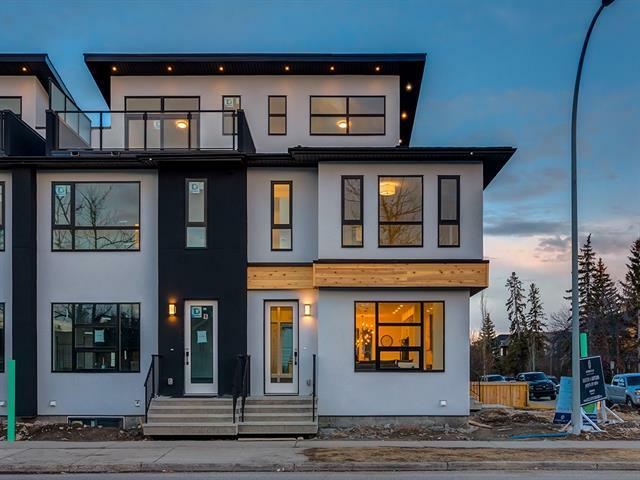 Distinguishing itself as LEED certified, this Sarina built home includes triple glazed windows, Energy Star water tank & LED light fixtures & bulbs. Main floor features a stunning open concept kitchen w/ granite countertops & stainless steel appliances. Pull up a chair to the bar ledge or enjoy a meal in the adjoining dining room. Bright, inviting living room comes complete w/ a gas fireplace. Step outside onto the expansive deck in your fully fenced yard. Enjoy convenient indoor parking spot in shared dbl garage. Listen to your favorite music anywhere in the home w/ built in speaker system. 2nd floor, discover the convenience of upstairs laundry, spacious master w/ walk-in closet, 4 piece ensuite w/ steam shower & skylight. A 2nd bed w/ensuite complete this splendid level. The professionally developed basement includes a 3rd bedroom & 3-piece bath w/ large open area perfect for Movie Night! Back Lane to be paved in summer 2019. One indoor parking spot in shared double garage – plenty of room for storage. Home for sale at #2 1720 Kensington RD Nw Calgary, Alberts T2T 3L8. 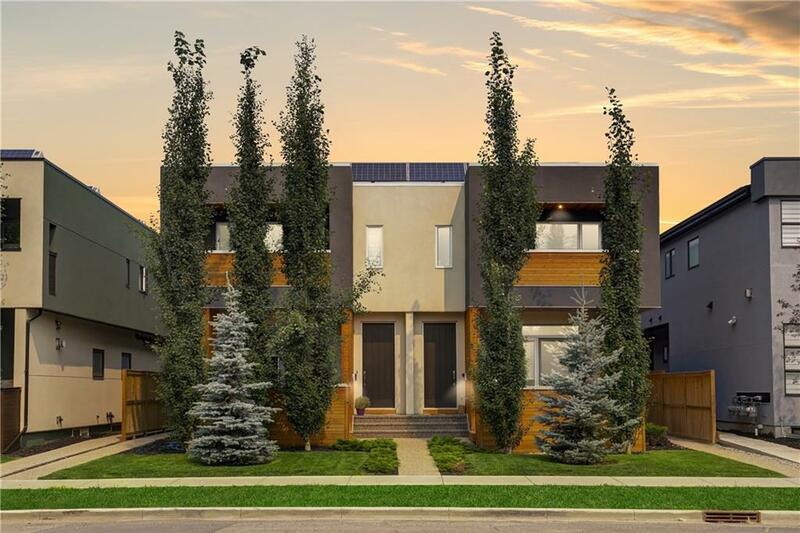 Description: The home at #2 1720 Kensington RD Nw Calgary, Alberta T2T 3L8 with the MLS® Number C4229002 is currently listed at $594,900.